A country’s embassies and consulates are that nation’s territory, subject to its laws, rules, and customs. 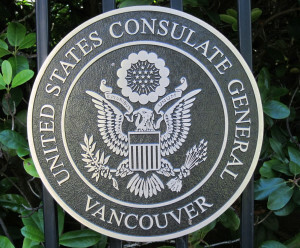 Some time ago, I asked the US State Department to create an incubator inside the Vancouver consulate. Every day, I could walk to my office in America without having to leave Canada. An embassy official appreciated the creativity but said no dice.